At Pantheon, we work hard to serve our to mission to Sustain Better Life™. From innovating sustainable products using the Principles of Conscious Chemistry™, to reducing waste in our operations, to giving back to the local community, we strive towards living sustainably. 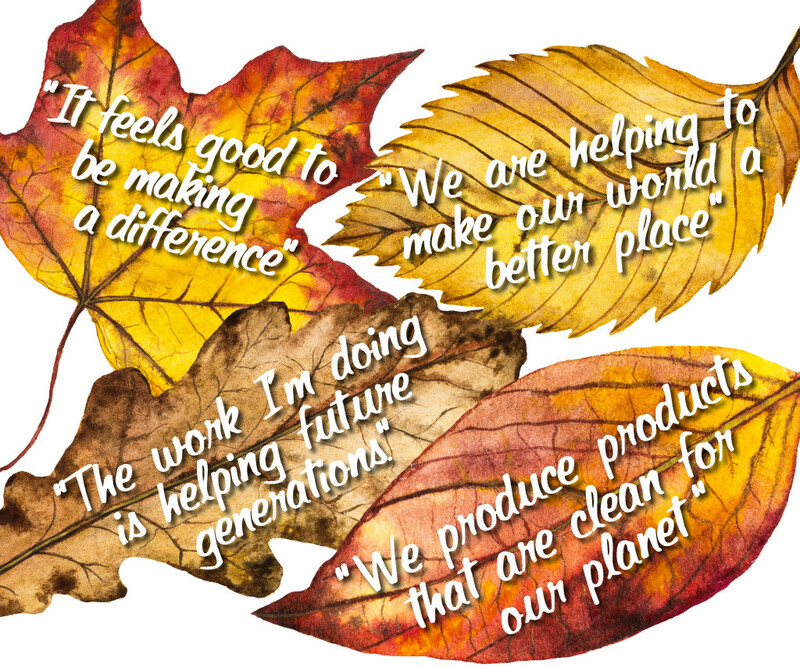 In honor of Thanksgiving, we went to our team to see why they are thankful to be part of a sustainable mission. As you can see, each team member has a unique perspective. But we are united by working towards the same goal: to make a positive impact on our planet. From chemical formulas to manufacturing to internal operations—we are doing our part.